I am writing in response to the recent letters about the new bus shelter in the uptown area. I am surprised that this new shelter is causing so much excitement. There was an offer from BC Transit about four years ago to put in a shelter in this location unless we wanted to do something else. The transportation commission would have put in that shelter at about that time. However, a large group of people who I have never personally seen on the bus or waiting for the bus showed up at the meeting I was also attending and had a signed petition asking for a creative, quirky shelter. I find it a bit upsetting that there are people here on Salt Spring who are so out of touch with the real experience of those taking the bus that they would feel that a key issue is what a shelter looks like for those who are driving by in a warm car. The suffering that was caused by the delay in the shelter being built caused certain people to become housebound. One fellow who used to take the bus regularly and comes out of Braehaven told me he could not take the bus in the rain until a shelter was built. There are many, many transit activist concerns that a person can get involved in, including the expansion of routes, the need for later evening services, the need for more buses from Fulford, the need for better service to the Vesuvius ferry, the need for a family subsidy, etc. Why, of all things, would the use of a BC Transit shelter get so many people out of bed and onto their computers to write a letter? My only concern is that the shelter should be larger, and the bar in the middle of the seat is hard for a female passenger I know who has such bad arthritis she likes to lie down while she waits for the bus. These are real people here who are taking the bus in all kinds of weather and Salt Spring Island is a real place where people are trying to survive. There was real suffering in the delays to getting this shelter built and that delay was caused by the efforts to appease the crowd of people insisting on a complicated, long process to create a quirky shelter that tourists would enjoy taking pictures of. Aside from that, if people are now paying attention to transit issues here, I do not mind if locals can get shelters built with local designs. However, the need is there for the shelters to be large enough for comfort and also to be built on a proper schedule. There has been no movement on this during the past four years and that is why an agreement was reached for the most recent shelter. Hopefully the current interest can be the start of the people who are now concerned to be willing to actually sit in the shelters around the island and actually take the bus too, so they can see how the service works. 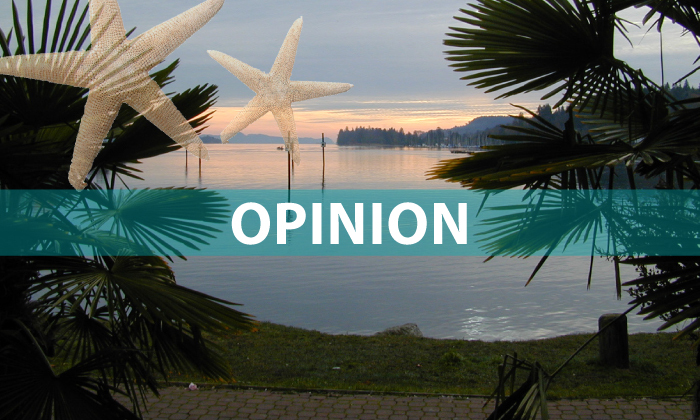 The writer is a Salt Spring Transit user.